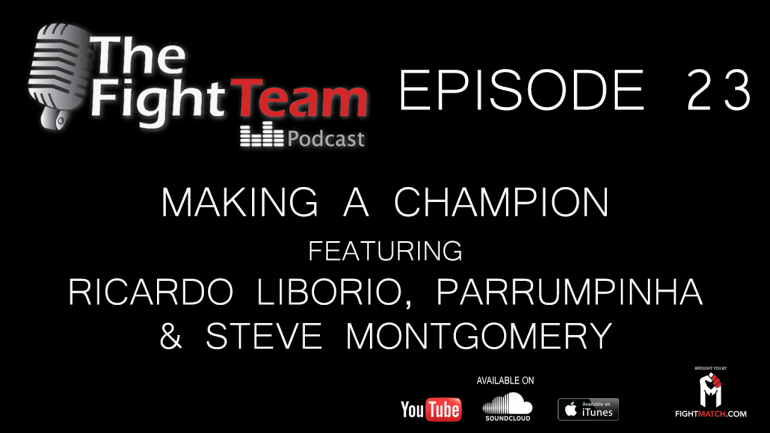 “Making a Champion” A quest to find the answers to some personal questions leads The Fight Team Podcast’s Luigi Mondelli to Florida where he gets some insights into being a champion, and how to make one. In Part 1 he spoke with UFC Strawweight Champion Joanna Jedrzejczyk and UFC and MMA Veteran fighter and American Top Team coach Mike Brown. 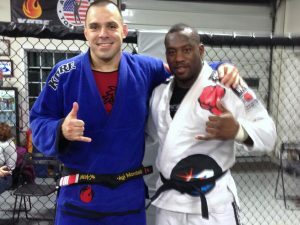 During this trip Luigi had a chance to interview also other fighters and coaches gathering different opinions from the perspective of both ends. In this Part 2 episode we feature MMA coach and ATT Co-Founder Ricardo Liborio, American Top Team MMA pro team BJJ coach Marcos “Parrumpa” Da Matta, , and UFC Veteran Steve “The Creepy Weasel” Montgomery. A lot of great insights and tips from coaches and fighters. Resilience, hard work, loyalty, team work, were the common attributes pointed by all of our guests! Don’t forget you can find us on iTunes, Soundcloud, YouTube, Windows App, etc. Just search for “The Fight Team Podcast”. 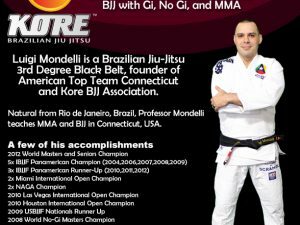 Luigi Mondelli is a BJJ 4th Degree Black belt, founder of American Top Team Connecticut & Kore BJJ Association. 5x Panamerican & 3x World Masters Champion. 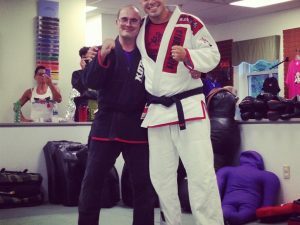 Dennis Hill from Aiki Academy is our newest Black Belt!